Exceptional achievements of Brecknock Primary recognised by Mayor of London! 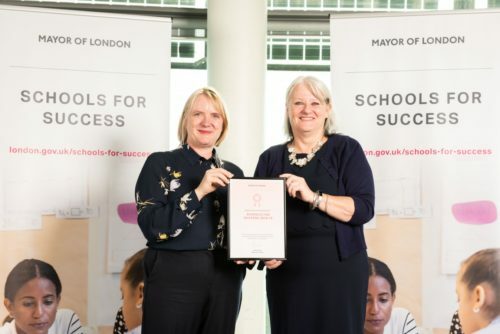 Sadiq Khan has named Brecknock as one of his ‘Schools For Success’ to celebrate the school’s achievements in supporting pupils needing extra help to fulfil their potential. The Mayor’s programme aims to improve expectations and raise standards for London’s schoolchildren, regardless of their background. Now in its second year, Schools for Success has created a network through which schools can share experiences and best practice with others across London. This is a fantastic achievement and one the school is very proud of. Well done all!